What Length of Retirement Should I Plan For? The answer is, “it depends.” But first we need to spend a minute talking about life expectancy in general. A “period life table,” such as the table provided by the SSA, uses data about deaths in a given year. For example, in 2017 it would look at how many people age 65 died in 2017, and how many people age 66 died in 2017, and how many people age 67 died in 2017, etc. And it then uses those figures to determine the probability of any giving person dying at age 65, 66, 67, etc. The upside here is that we’re using actual, verifiable data. The downside is that we’re conflating different birth cohorts. For example, if we want to know the life expectancy of a person who is currently age 20 in 2017, just how relevant is the likelihood of a current 65 year old dying this year? There are another 45 years until our current 20 year old reaches age 65, and a lot of medical progress could happen between now and then. In contrast, a “cohort life table” uses actuarial projections about people born in a certain year. That is, it includes assumptions about how mortality rates will change over time. Point being: A period life table is always going to understate a person’s life expectancy, assuming life expectancies continue to grow over time. A cohort life table should provide a better estimate of an actual person’s life expectancy. Personally, I am a fan of the Longevity Illustrator tool as a quick way to get a good estimate of your life expectancy, as well as your probability of living to various ages. The tool was jointly created by the Society of Actuaries and American Academy of Actuaries, and it uses the SSA’s mortality data, with adjustments to reflect projected improvements in mortality rates over time. How Are You Different from Average? Even something as simple as your education/income level tells you something about your expectancy. For example, as we discussed a couple of years ago, if we look at women age 50-74, for those with a college degree, the mortality rate (i.e., the likelihood of dying in a given year) is 49% lower than the average mortality rate. In other words, if you’re a woman between the ages of 50 and 74 and you have a college degree, you are only half as likely to die each year as the average woman in your age bracket. Finally, after having information about your longevity projections, the appropriate retirement planning horizon depends on your personal tolerance for longevity risk. That is, how sure do you want to be that you will not outlive your portfolio? For example, if funding retirement with a bond ladder, one person might want to build the ladder out to the point where she’s 99% sure she won’t outlive the ladder. Somebody else might be comfortable with a 75% chance, because she places a higher value on current spending and she is OK with the possibility of a cut in spending at a later point in retirement. Either approach might be perfectly reasonable. To some extent this decision is personal preference, but there are also important financial factors as well. Example: Alice has $30,000 of inflation-adjusted safe income between her Social Security and her pension. She also owns her home and has paid off her mortgage. Betsy has $15,000 of Social Security, no other safe income, and she rents her home. Betsy is in a much worse position if she outlives her portfolio than Alice would be. Use your life expectancy projection to pick a planning horizon that matches your tolerance for longevity risk. The IRS recently released the 2018 figures for IRAs and employer-sponsored plans. The contribution limit for employer-sponsored plans will be increasing slightly, as will the various income ranges for phaseouts. A reader recently wrote in, asking about the difference between retirement planning for a single person as opposed to for a couple. Insurance planning principles are unchanged (i.e., if you can’t afford to pay for a cost out of pocket, you should strongly consider insuring against that risk). There are fewer discrete stages of retirement to plan for. Self-insuring for long-term care requires a significantly smaller amount of savings. For a couple there are distinct “two people” and “one person” stages. And that creates some planning opportunities/complexity that are not applicable for a single person. As far as spending, for a couple there will be a point at which one spouse dies and total spending falls considerably, suddenly. For an unmarried person, there will obviously be no such sudden change. As far as income planning, for a couple there will be decreases when each spouse retires, increases when each spouse begins claiming Social Security, possibly another increase when one spouse switches from a smaller benefit to a larger benefit (e.g., starting their own retirement benefit after having collected spousal benefits for some years), and a decrease when either spouse dies and the smaller Social Security benefit disappears. For a single person, there are fewer times at which income will change — usually just a decrease upon retirement and an increase when Social Security begins. As far as tax planning, every time that income level changes, there is likely to be a change in marginal tax rate. Similarly, when one spouse dies and the other begins using “single” tax filling status, there will often be an increase in tax rate due to smaller tax brackets. All of these different changes in tax rate over time create tax planning complexity that an unmarried person wouldn’t have to worry about. Investing Blog Roundup: How Much Can I Spend in Retirement? Administrative note: There will be no articles next week, as I will be attending and speaking at the annual Bogleheads event. We’ll resume our regular schedule on 10/23. 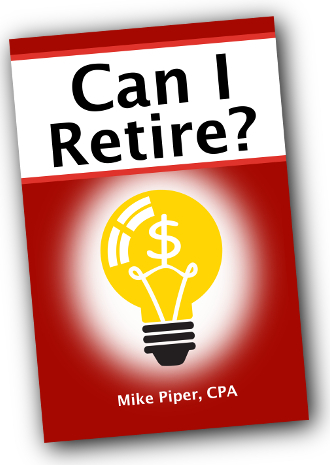 Researcher Wade Pfau released a new book this week: How Much Can I Spend in Retirement? The goal is to figure out how much you save by doing a Roth conversion now (as opposed to the money coming out later), and compare that to the amount you save by realizing capital gains now (as opposed to later). For example, if Roth conversions would currently face a 15% tax rate, but you expect that (if you didn’t do a Roth conversion), the money would come out later at a 25% tax rate, then your savings on each dollar you convert at that 15% rate would be 10%. And if you’re in the 15% tax bracket right now, each dollar of long-term capital gains that you realize (while still staying in that bracket) would be taxed at 0%. And if you expect that you’ll be in the 25% bracket later, then LTCGs would be taxed at a 15% rate later (because LTCGs in the 25-35% tax brackets are taxed at a 15% rate). So you’d be saving 15% by realizing them now. Point being: In this hypothetical case the 15% savings from realizing capital gains now exceeds the 10% savings from doing Roth conversions now, so realizing long-term capital gains is preferable. To be clear though, this is a simplified analysis. In reality, you’d want to account for any factors that could cause your marginal tax rate (whether on Roth conversions or realization of LTCGs) to be different than the normal amount (e.g., because additional income is causing you to lose eligibility for a given tax break). 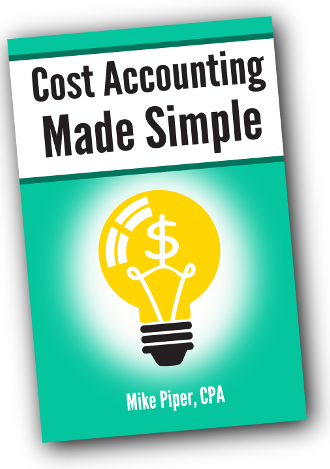 A good way to account for these complexities is to model via tax prep software. That is, you would create a hypothetical tax return in TurboTax or something similar, and see how your total tax changes if you do another $1,000 of Roth conversion or realize another $1,000 of long-term capital gains. Consider your heirs’ future tax rates rather than just your own future tax rate when considering Roth conversions (i.e., if you don’t do a Roth conversion, money would be taxed at their rate when it comes out of an inherited traditional IRA). As you might imagine, working with a tax planning professional is likely to be helpful. Investing Blog Roundup: Why Use a Health Savings Account? 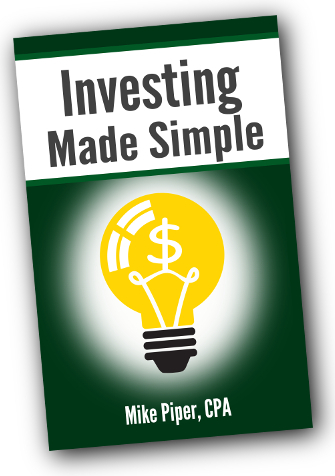 With a Roth IRA, you pay taxes now (before contributing) in order to avoid paying taxes later. With a traditional IRA, you get to avoid taxes now (via a deduction), but you have to pay tax when money comes out of the account. As Vanguard’s Andy Clarke explains this week, an HSA often provides the best of both worlds: a deduction for contributions now, and tax-free distributions later.